I have had this tv about a week , the tv itself is v.large compared to my previous 40 inch tv. the picture looks great, I use it with an antenna, also streaming on a hdmi port . I do not use the smart tv part so I cant rate that part. sound could be deeper but I turn up the volume a little more and it is sufficient. I would recommend this to anyone looking for a tv in the $325 range. picture quality and tv itself look much more expensive, I even considered buying another one myself. 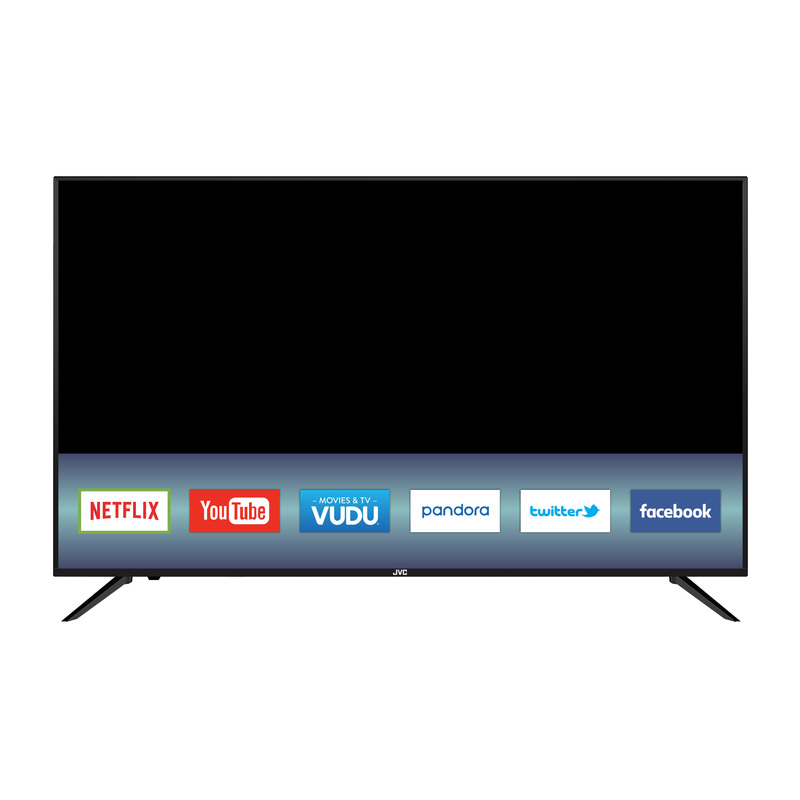 Tbook.com crawls the web to find the best prices and availability on products like JVC 58" Class 4K Ultra HD (2160p) HDR Smart LED TV (LT-58MA887). This product is one of the more popular items we list which is why it is in our "hot deals" section. If you have any questions on this product, please give us a call at 734-971-1210 during the hours of 9am - 5pm EST for assistance. Thank you for shopping at Tbook.com, the Internet Department Store!